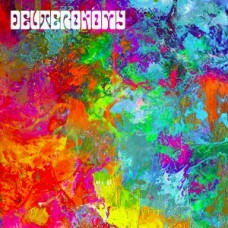 Deuteronomy is a psychedelic power pop trio hailing from halfway between Camden and Atlantic City, New Jersey. Guitarist and vocalist Max Aronow, bassist Keith Steinberg, and drummer Dmitriy Prokopovich have been slowly carving names out for themselves as a group, and gaining serious traction in the Atlantic City indie rock scene. With a name paying homage to progressive rock pioneers Genesis, the band bridges the gap of where the 70s prog guys seemed to fade off to the underground post-grunge scene of the mid to late 90s. With three albums under their belt since 2009, the trio has just released a vinyl compilation LP, entitled Psychedelic Power Pop, in March of 2017 on their own Creative Space Records, distributed in Europe by Berlin's own SKARO Records.Go to your local record store and request a copy on beautiful colored vinyl!